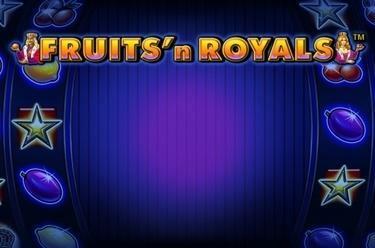 Play Fruits’n Royals™ online for free now! 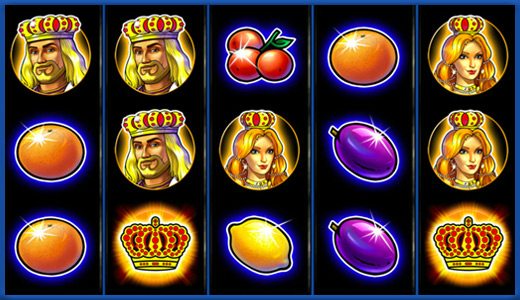 Elite aristocracy meets cheeky fruits with Fruits’n Royals™ - and this combination can only mean one thing: winnings galore for your player account! Let the reels spin and cross your fingers - if the symbols land in the correct order, then you are the next in line for some regal winnings! If you land 5 matching symbols along a win line you have achieved the best winning combination possible! All winning patterns start on the left side of the first reel and run along the win lines across the reels to the right. The important thing is that the matching symbols lie side by side without any other symbols interfering. The star (Scatter) triggers a win, regardless of its position on the reels.